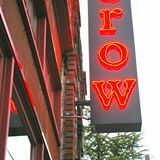 Conveniently located in the Lower Queen Anne neighborhood, not five minutes from downtown Seattle, Crow is blocks from Seattle Center and its myriad of attractions (Seattle Opera, theatres, concerts, sports, etc.). Our unique urban location combines a vibrant yet neighborhood atmosphere. We have a chef's counter and full dining room with a private dining area reservable for up to 30 people. We have a full bar and an international wine list recognized for its exceptional values. Reservations are recommended.